ca, 510 - 500 B.C. 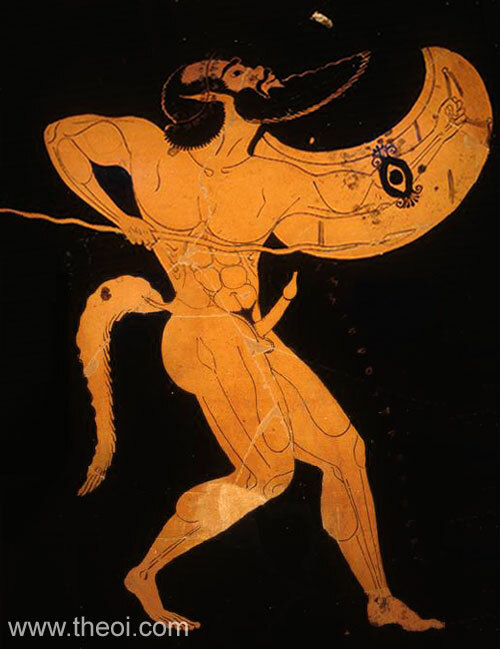 A Satyr warrior strides forward armed with a spear and crescent shield (pelta). He has the usual features of his kind--pug nose, horse's tail and ears, balding pate and erect member.